Russian born Dominique, and Dutch born Kay flew in from Singapore for their destination wedding ceremony in Carmel-by-the-Sea. Their families, who are scattered all around Europe flew to California for their intimate destination wedding ceremony on a private estate in Carmel-By-The-Sea. You see, in Russia, grooms have to work for their brides. A groom is denied his bride until he passes a series of “tests.” He is jokingly asked to “pay up” in money, gifts, or jewelry, heckled and humiliated, or forced to do silly dances, answer riddles, and perform goofy challenges to prove his worthiness. Once the groom sufficiently impresses friends and family with this bridal ransom, or vykup nevesty, the wedding ceremony can proceed. In this case, the Dutch groom had to indulge his bride’s Russian family. 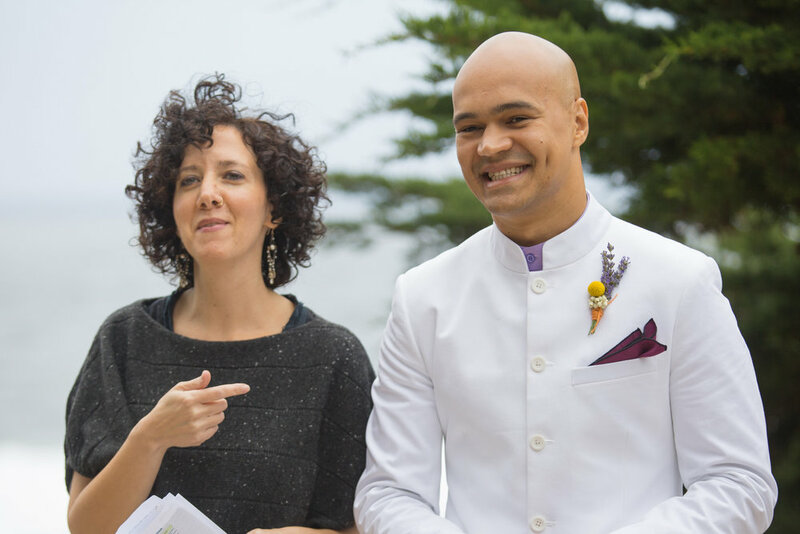 Big Sur wedding photographer, Peer Johnson of Peer Johnson Photography, did an excellent job capturing the spontaneity and bubbling-over joy of this intimate destination wedding in Carmel-By-The Sea. Have a fun wedding ritual from your own culture? Please share it in the comments below!